Tune into Radio Carly: Appearance diversity: Hanka's story. "The more I read about other people with an unusual appearance the more I felt I’m not alone." 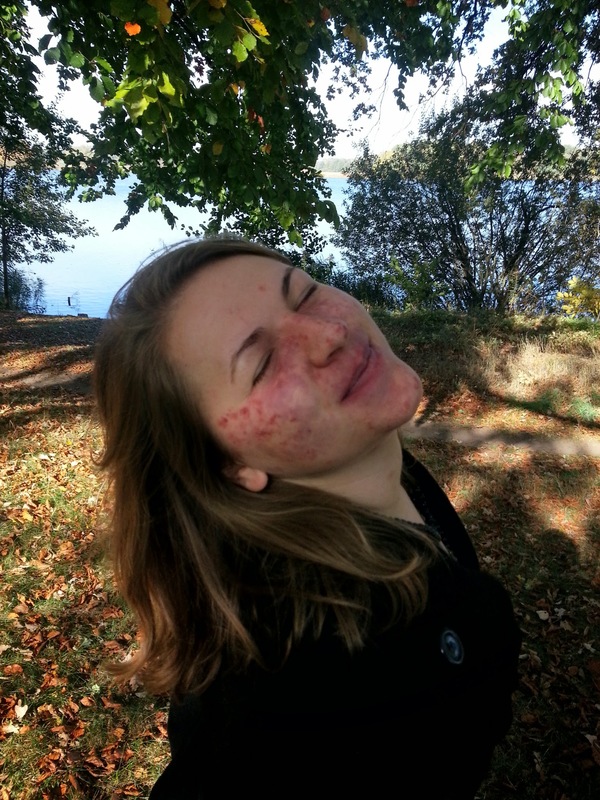 Appearance diversity: Hanka's story. "The more I read about other people with an unusual appearance the more I felt I’m not alone." A while back I got a lovely message from Hanka, from Germany. "I want to say thank you. I'm reading your blog since a couple of months and it helped me very much ... I have a port wine stain on my face and I have laser therapy for almost 16 years. I never felt comfortable with this treatment, because of the pain and not knowing if it's the 'right thing' for me. In the last 4 years I was thinking a lot about to stop the therapy, but I was insecure. With your words and the way you show that a normal, happy, successful life doesn't depend on appearance you give me much hope and I realise that I feel comfortable with myself and I don't need to fit the norm. Stay the way you are. Your spirit is amazing - it shines through your words. Gosh I love to receive messages like Hanka's. It makes me happy knowing that me sharing my story can help others feel more confident in their own skin. Straight away I asked Hanka if she'd write her story for my blog, and she did. Hanka has written about how her ethnicity - she's a Sorb - has helped her confidence. She's got a very interesting story. "I’m Hanka Zschorlich, 22 years old and I am living in the Sorbian minority in East Germany. As you can see on the pictures I have a birthmark on my face, which is caused by capillary malformation in the skin. It’s called port wine stain. My parents decided to have laser treatment for me, when I was 6 years old and I had this therapy till a short time ago. Then I decided to stop this treatment, because I feel comfortable with my face and I need a break to experience a life without it. I know that I stand out and it’s ok, but this perception wasn’t quite easy. Four years ago I asked myself why I do this therapy and I recognized from time to time, that I was doing the therapy out of habit. The most important thing in my life is my family. I grew up with five siblings and my lovely mom and dad. I’m the youngest one in my family and so I learned in very young age stand up to my sisters and brother. My family encouraged me very much to be what I am and to say what I think. I’m very thankful to have such a wonderful family. In the time after I moved from my parental home to another city I was insecure. It mattered to me that people stare at me and not everybody can handle the way I look. I started to search for like-minded people on the internet and found a couple of charities and blogs. The more I read about other people with an unusual appearance the more I felt I’m not alone and with the information I get from the charities I know how to handle difficult situations and that I don’t need to care about other people’s expectations. This raises my confidence. Another big thing in my life is my origin. I’m living in an ethnic minority called the Sorbs. Being part of this minority means to be part of a huge family, because everyone knows each other. We have a very wide-ranged culture with special traditional clothes and celebrations affected by our catholic religion. 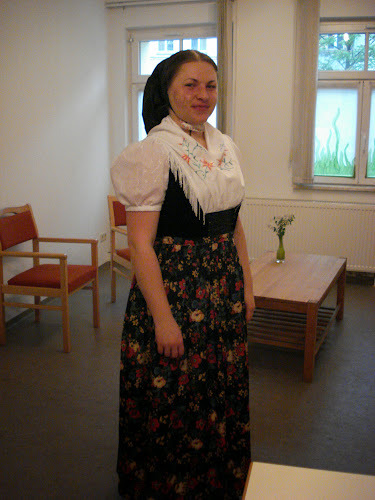 It always gives me a good feeling to come home, party with my friends, hear my mother tongue and sing some Sorbian songs. Most of my friends are also Sorbs, which I know since playschool. We have very solid friendships and I feel very accepted in this circle, because they see me as a person and not as a birthmark. 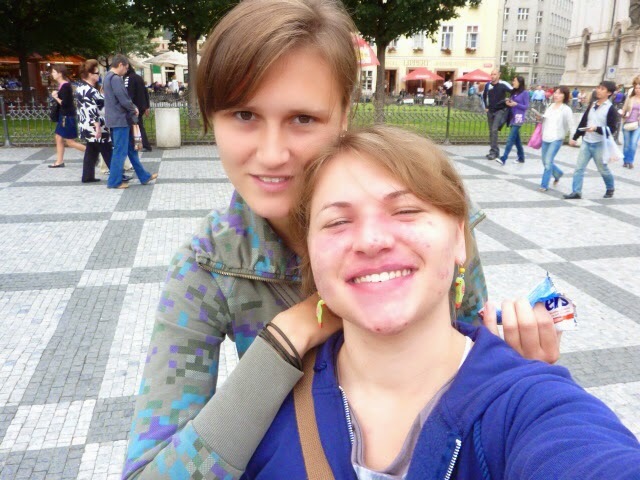 Although we rarely meet, we love to travel around, doing some weekend trips. My passion is art, but I’m not talented in drawing. I love to study other people’s art, that’s why I study history of art. I’m impressed of it, because it shows how brave people stand behind their ideas. It doesn’t even matter if it’s their own or an art style. Some ideas seem to be very strange in the beginning, but after a while of thinking and looking at somebody’s artwork you maybe start to understand what this artist meant."